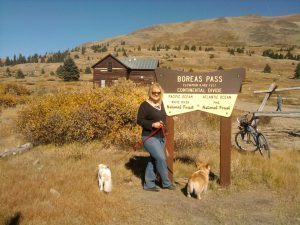 In my last post I mentioned that for many years Connie and I have visited Boreas Pass for our annual drive to take in the beauty of fall in the mountains of Colorado. 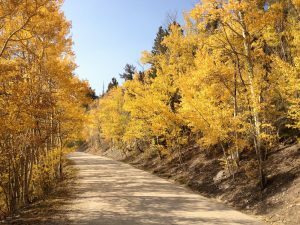 Boreas Pass has the advantage of being relatively close to Denver, breathtakingly spectacular and not on the crowded I-70 corridor. 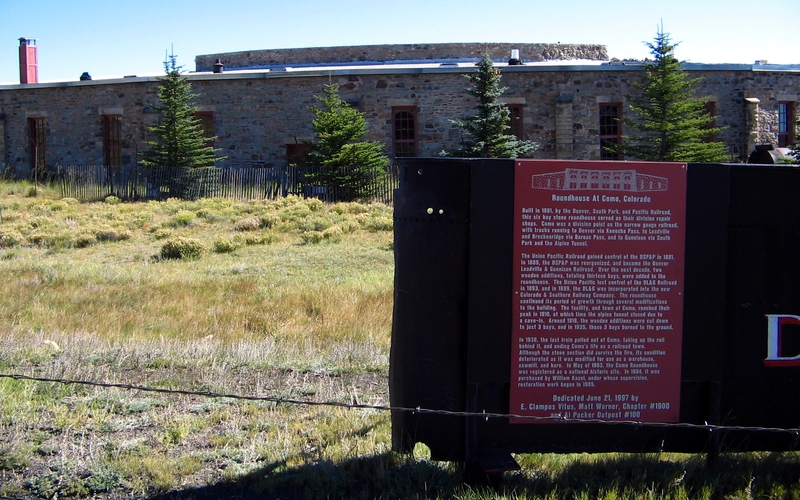 There is also the added bonus of being rich in Colorado history. Easy to get to Boreas Pass can be aproached from 2 directions. My favorite way is to travel southwest out of Denver and over US Hwy 285. 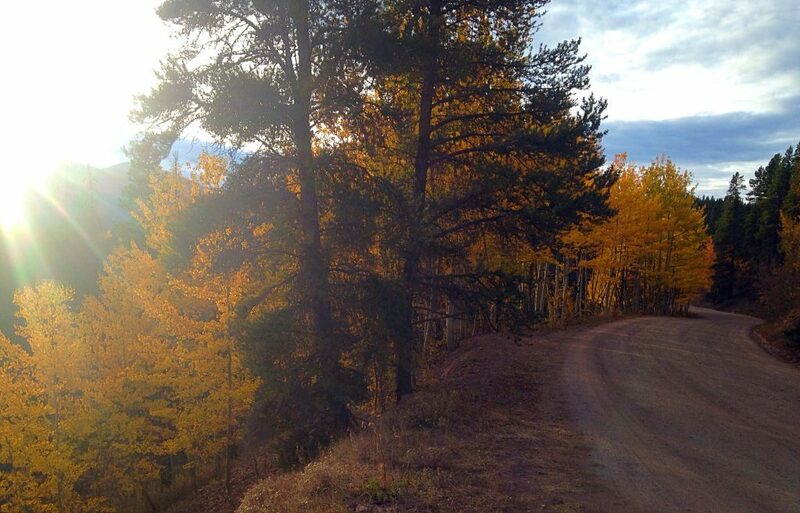 Kenosha Pass, is a great Aspen viewing area in its own right and has the added bonus of being on the way. Now head into South Park and the tiny community of Como, it is clearly marked by a highway sign. Here the history lesson begins. 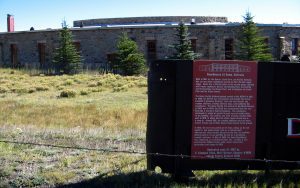 One of the 1st features that you will notice is the railroad round house. 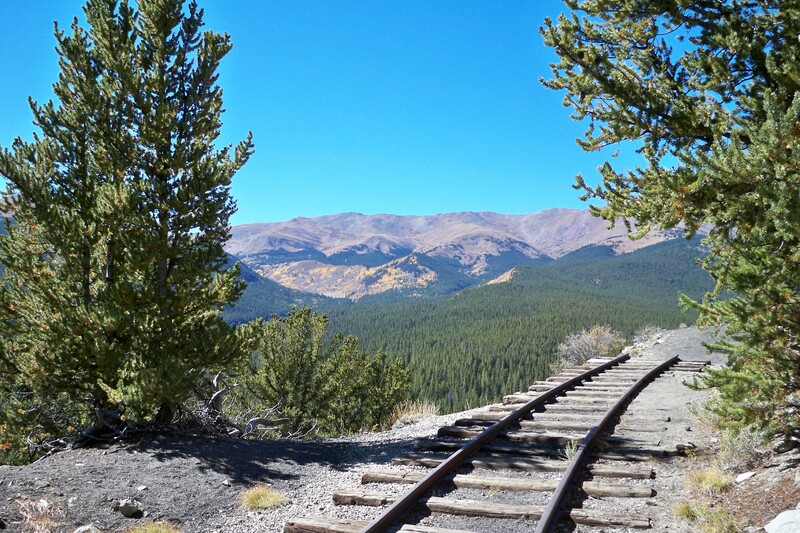 While in town one can also pick up a free brochure with the history of the railroad that crossed Boreas Pass. Heading west out of Como the road quickly becomes dirt and remains dirt for the next 20 or so miles. 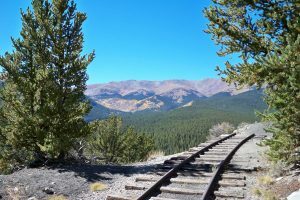 The road roughly follows the old railroad that took miners and business travelers from Como to Breckenridge. The first stop we always make is Rocky Point where a section of the old railroad track still remains. 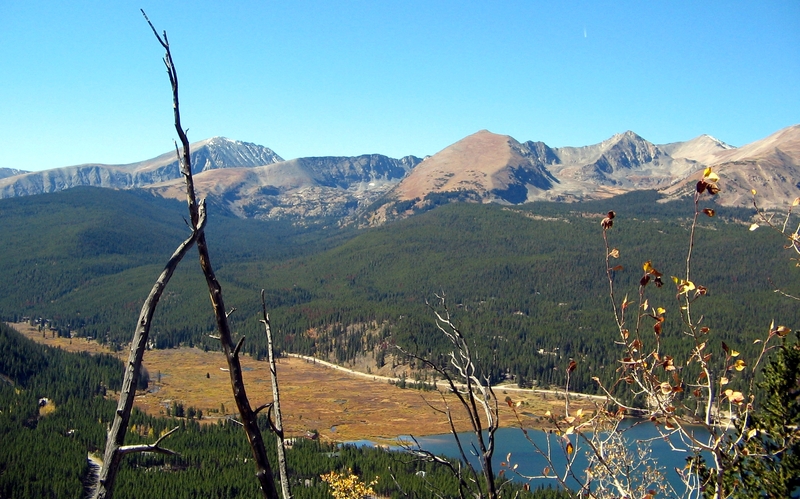 Here there is a view of the valley below and Mt. 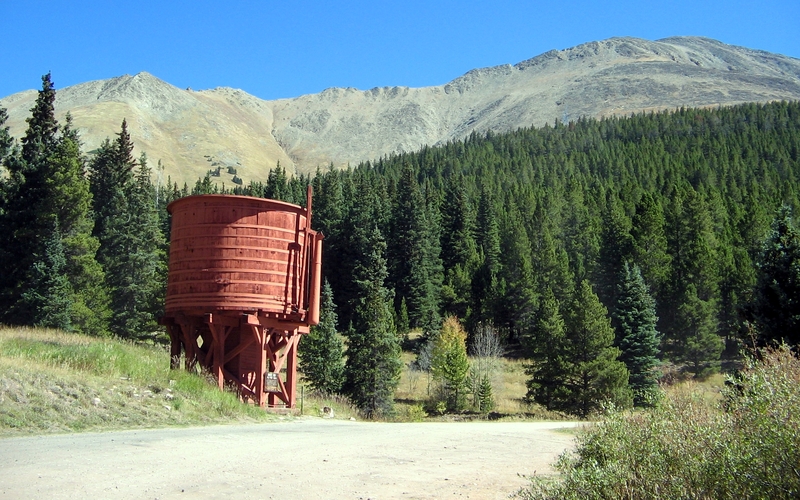 Silverheels a legendary haunted mountain complete with headless miners. 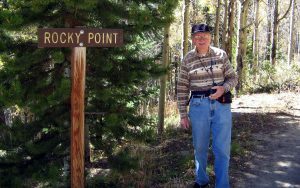 Named for a dance hall girl in the nearby mining town of Buckskin Joe who helped seriously ill miners during the smallpox epidemic of 1861. She then disappeared never to be heard from again. 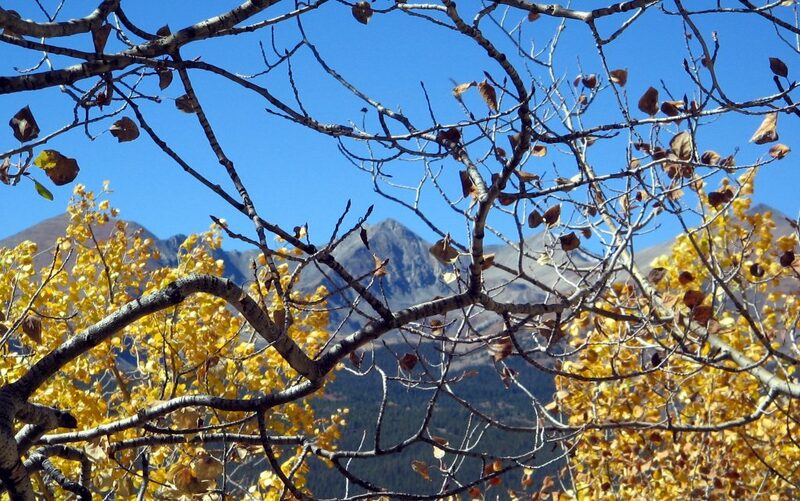 The best of the Aspen viewing is on the west side of the pass where there is much more moisture so continue on from here. At the summit more history awaits including a train stop and a box car. Boreas Pass was named for the Norse God of the wind and as often happens in Colorado at or above treeline the wind can whip around here. traveling down the west side you will see the water tank for the old railroad and absolutely spectacular views of Aspen groves and the Ten Mile Range of Mountains above the Breckenridge Ski Area. Boreas Pass comes to an end in the resort town of Breckenridge, Colorado. Form here you will have the choice of heading south over Hoosier Pass and through the mining town of Fairplay to head back on 285. Or you can go north to Frisco and head east on I-70 to Denver. Love this blog and the pictures David. Thank you I am glad that you enjoyed it!